A reception with food and beverages will follow in the Life Story Center. Jeanette (Roberts) Breznau was born on the 29th of March 1923 in Detroit, Michigan. As the fourth of eight children, Jeanette was “right in the middle” and developed the special skill of “arguing” she jokingly told her family. 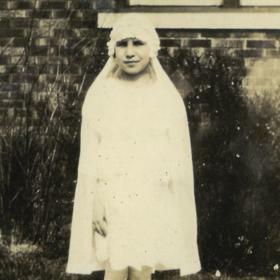 Jeanette’s youth was enjoyed in Detroit, attending Gesu Catholic School, only running into trouble with her parents when her clothes were torn from twirling rope on the playground or playing in the new homes under construction near their home on Woodingham, just a bit more than a stone’s throw from GESU and University of Detroit. Her adolescence at Highland Park high school is remembered fondly by skipping school to catch a movie, learning short-hand and typing (when present), and the hops – one of Jeanette’s favorites. She was also thrilled when her sister Elaine, her best friend, ended up in her same class in high school. Crocheting, water-skiing, sewing, and theater were among some of Jeanette’s hobbies and interests. As Salome in a high school play, Jeanette recalls the hilarious and mortifying moment when a fellow cast member inaccurately declared her name in a show, “Salami!”. Near the end of high school, Jeanette wrote a 20-page paper about her family history, her accomplishments thus far in her life and her expectations for the future. She envisioned attending some college, meeting prince charming there, having four kids and traveling in Europe. 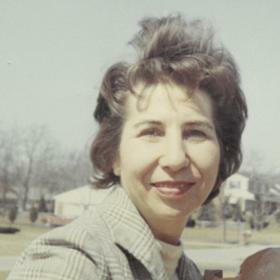 Jeanette’s father, Enos Roberts, was a professor at the University of Detroit. He was born on a farm in Monroe Michigan and early in life was drawn to academics. When he had to leave school at an early age to help his parents and 10 siblings on the farm, he continued a relationship with a teacher. By borrowing textbooks, he was able to educate himself and eventually got his GED. Enos thought highly of Jeanette’s learning ability. Jeanette took to heart the words her father spoke to her mother, Clara Sanglier, “Jeanette’s the smartest one in the bunch,” although he never told her that. Although she thought she would pursue nursing, Jeanette studied for a year and a half at the University of Detroit. 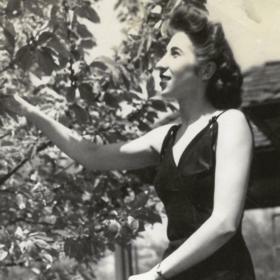 It was in a class that she met her prince charming, Joe Breznau, declaring to herself when she first saw Joe, “that is the man I am going to marry”. Jeanette would arrive to class late with Joe only to be accountable to the professor, her father! Joe was born on a farm in a Bohemian settlement in East Jordan Michigan on the Brezina family farm. (The last name eventually changed to Breznau). His father Joseph took his new wife and child and left for employment in Detroit. Joe was the oldest of four boys (Hubert, Jack and Don) and due to economic and health issues was very involved in helping to support his parents and siblings including so much paper route work he won an award and milk and bread delivery services that included the help of other family members as well. From an early age he was a hard and successful worker, eventually retiring early so he and Jeanette would have “a few” years together. 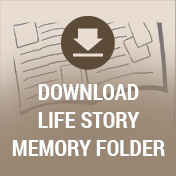 He created a financial plan that provided care for his beloved Jeanette throughout her long life. 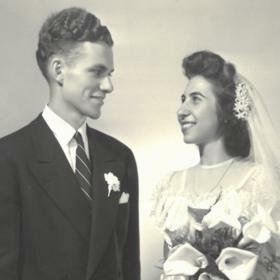 Joe and Jeanette wed on June 17, 1944 at Gesu Church and were married for 57 years. Joe worked in finance and accounting at the Statler Hotel and eventually Chevrolet automobile assembly plants, converted to manufacture airplane parts during WWII. 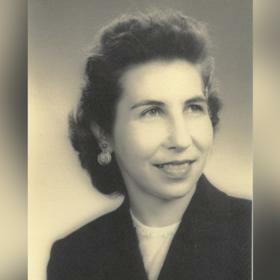 Jeanette worked during the war in a real-estate office performing clerical duties.  Caring for and raising her seven children quickly became her full-time job. Joe was a supply clerk in the Army soon after the wedding. Their first born, another Joseph, was born during that time in Mineral Wells, Texas. The rest of their 7 children were born in Michigan except for Gerard who was born in Ossining, New York where they lived for a while during Joe’s long career with G M.
A dream came true in the late 50’s for Joe and Jeanette and their very appreciative children when they purchased “the cottage” on an acre of woods on Lake Huron. Soon the yearly schedule included Jeanette and all the kids living at the cottage for the summer and Joe driving back and forth every weekend to be at the cottage and he also spent his vacation there. It was a wonderful gift everyone in the family very much appreciated and ultimately his brother, Hubert, and family also came to have a place nearby creating a special bond between the two families. Jeanette was fond of sewing and enjoyed spending time embroidering with intricate needlework. In her days at Heritage Retirement Community and for the last five years at wonderful Grace Valley she could be found walking down the hall with a little bounce in her step, singing songs she liked. Her rooms walls were adorned with her various needleworks. Jeanette Roberts Breznau passed peacefully on March 27 2019 two days after celebrating her 96th birthday at her wonderful home Grace Valley in Kalamazoo, Michigan surrounded by love, caring and children very thankful to have had her with them in this life for so long.